Affiliated to MSBTE Mumbai, Approved by AICTE New Delhi, DTE Mumbai. Welcome to K. K. Wagh Polytechnic, Nashik. A graduate in Agricultural Science from Govt. College of Agriculture, Pune. A progressive agriculturist based at Bhausahebnagar, Tal:Niphad, Dist.-Nashik. 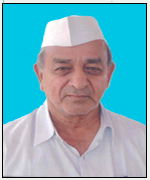 Ex- Managing Director, Niphad Sahakari Sakhar Karkhana Ltd., Bhausahebnagar. Ex- Chairman, K.K. Wagh Sahakari Sakhari Karkhana Ltd., Ranwad, Tal: Niphad . Ex-President, Deccan Sugar Technologist, Pune. Ex-Vice Chairman, Distillery Association of Maharashtra, Mumbai. President, Association of Managements of Un-aided Engineering Colleges (Maharashtra). President, Association of Managements of Un-aided Agricultural Colleges. President, Association of Managements of Polytechnics (Maharashtra). Commerce Graduate, IATA/FIATA from Geneva, Switzerland. Retired from Public Sector undertaking. Trained in Modern Management methods. Comes from a Philanthropic family. Represents the trust who had donated the land to the K.K.Wagh Education Society, Nashik. A Progressive agriculturist based at Lasalgaon, Tal: Niphad. 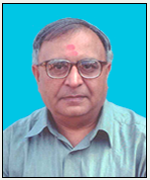 Ex-Director, NAFED, New Delhi for the last 37 years. Ex-Vice Chairman, NAFED, New Delhi. Ex-Director, N.H.R.D.F. and Ex-Chairman of NHRDF Ex-Director, K.K. Wagh Sahakari Sakhar Karkhana, Ranwad, Tal: Niphad. Represents interests of Onion Growers at National Level. Ex-Director, Indian Co-op. Tourism Ltd., Delhi. Ex-Director, Krishi Utpann Bazar Samiti, Lasalgaon. 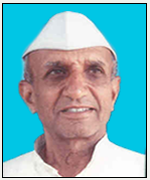 Director and Ex-Chairman, Nashik Zilla Kharidi Vikri Sangh for the last 52 years. Director, National Federation of Farmers Procurement Processing & Retailing Co-operatives of India Ltd.
B.Chem. Engg. & M. Chem. Engg. from UDCT, Mumbai Heading detailed Engineering Firm providing services to Chemical Industries & Waste Water Treatment since 1997. Having 19 years experience in the Consultancy Field. B.E. (Prod. ), M.E. (Prod.) , Ph.D. from IITB, Mumbai. Principal of K.K.Wagh Institute of Engineering Education & Research, Nashik. Having 29 years of Teaching Experience. Member of National Board of Accreditation Committee. Master in Technology (Comp. Sc. &Engg) from IIT, Bombay. Ph. D. (Engg.) from University of Pune. 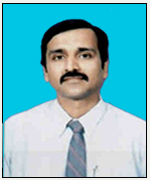 Professor and Head of Computer Engineering Department in K.K.Wagh Institute of Engineering Education & Research, Nashik. Having 29 years of Teaching Experience. Master in Technology (Energy Sys. &Engg) from IIT, Bombay. Professor and Head of Mechanical Engineering Department in K.K.Wagh Institute of Engineering Education & Research, Nashik. Having 28 years Teaching Experience. . Professor and Head of Information Technology Department in K.K.Wagh Institute of Engineering Education & Research, Nashik. Having 21 years Teaching Experience. B. E. (Civil), M. E. (Civil), F. I. E. (India) . Professor in Civil Engineering Department at Engineering College. Project Director since 11 years at K. K. Wagh Education Society and . 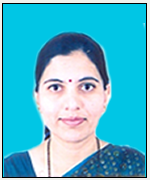 Presently working as Secretary of K.K.Wagh Education Society, Nashik since 22/05/2012. Having 22 years of Teaching Experience.